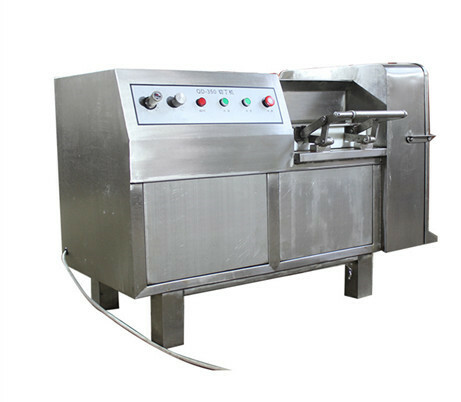 Meat dicing machine can accurately cut the meat into cube, slice, thred, strip and has high work efficiency, cutting the diced minimum specifications for 4 mm, the maximum size of 30 mm. 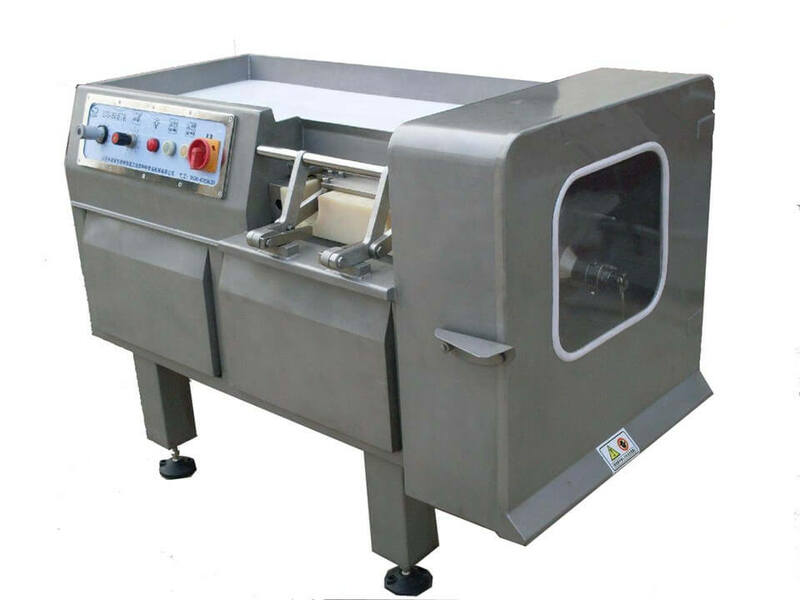 This frozen meat dicer is the first choice for food processing and cutting equipment. 1. Made of stainless steel, fine workmanship, beautiful appearance, durable. 2. Compact structure, strong universality, economical and practical. 3. Safety protection performance, convenient to clean and maintenance. 4. 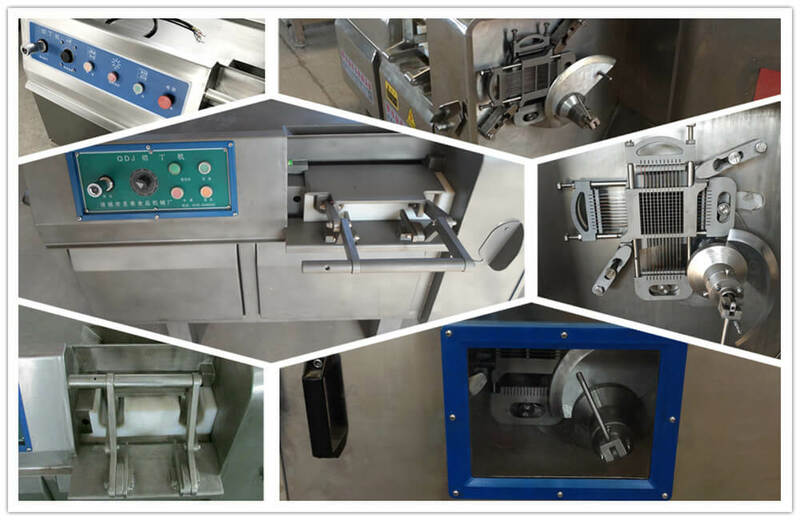 Adjust the cutting thickness knob, the meat push rob pushing speed changes, in order to achieve different cutting thickness requirements. 5. Adopt the pre-pressure control design, to ensure that diced block uniform and cutting size correct. 6. Adjustment meat push rod for step motion, single blade cutting can minimize the extrusion of products in cutting process. 7. 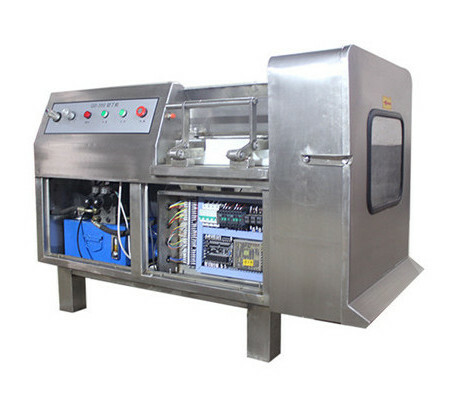 Cutting slot one side use the active lateral pressure mechanism to facilitate feeding, improve work efficiency. 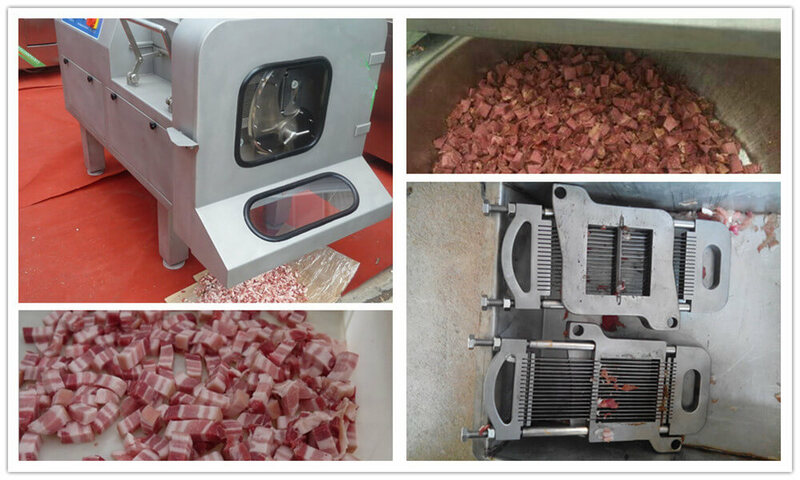 Start the meat dicing machine and feed the material, due to the gravity of the material itself and rotation of screw feeder, the material was continuously sent to twisted incision to chop, the chopped meat under pressing force of screw feeder was discharged from the holes in the lattice panel. So we get the diced meat. 1. 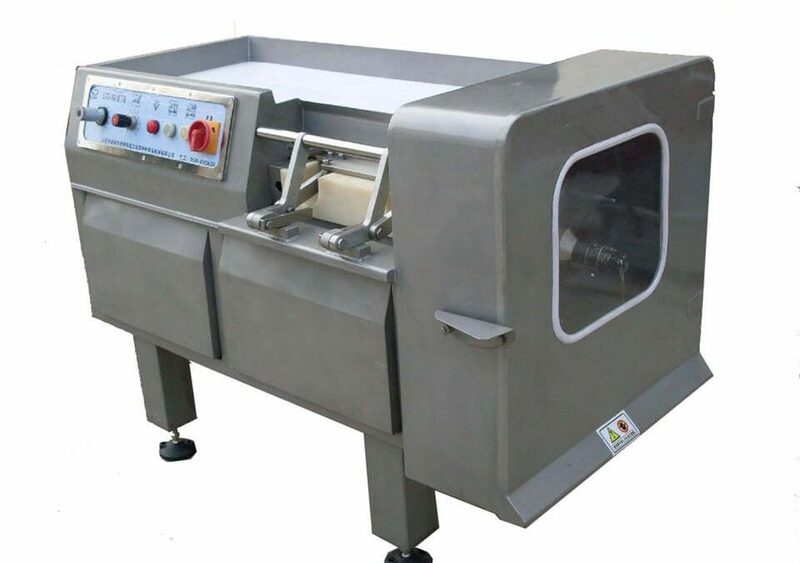 This meat cuber machine can cut fresh meat, frozen meat, cooked meat and poultry meat (chicken, duck etc.) with bones. The cut out cubes can be used to make hot dogs, smoked sausage, ham, meat balls, etc. 2. It is suitable for hotel, restaurant, chain catering, meat food processing factory, school to use. 1. Don’t put your hands in the machine when it is operating to avoid hurting your hands. 2. Please remember to shut off the power when you don’t use the meat dicer. 3. Read the instructions before using, clean the meat dicer regularly to extend working life.